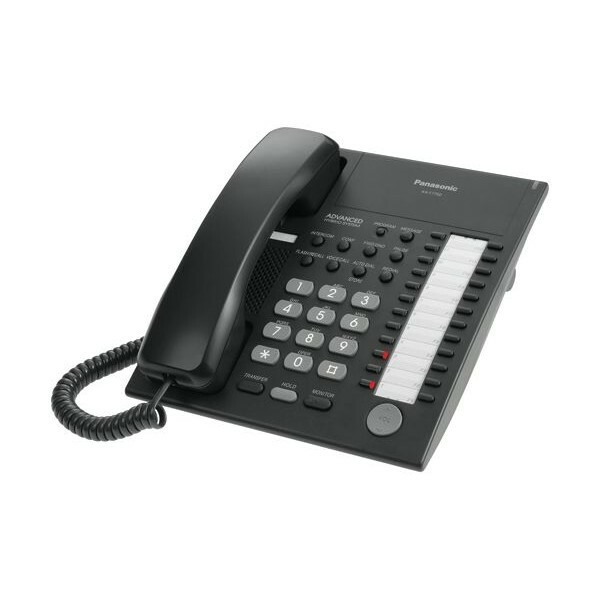 The simple-yet-stylish Panasonic KX-T 7750 corded office phone offers a useful array of extra functions, including 12 programmable keys and various one-touch operation features. The Panasonic KX-T 7750 is equipped with dual-colour LEDs for displaying useful information, while a large incoming call and messaging lamp lets you know when the phone is ringing, even at a distance. Convenient one-touch operation features include voicemail transfer, log-in and log-out and direct station selection. Easy to use and budget friendly, the Panasonic KX-T 7750 makes an excellent addition to any modern office.